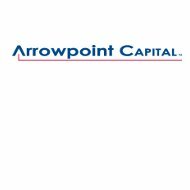 Arrowood Indemnity Company is a North Carolina company offering property and casualty insurance on behalf of parent company Arrowpoint Capital Corp. The company was originally founded in 1910 and known as Royal Indemnity Company, until a name change as part of the Arrowpoint acquisition in September 2007. Arrowood does not maintain its own presence so it is a bit difficult to pinpoint exactly what they do. We can say however, that their insurance products are aimed at commercial entities rather than individuals. Compare health insurance rates online by entering your zip code in our free search tool below. For the purposes of this review we focused our attentions on the parent company, since Arrowood is not online themselves. Unfortunately the corporate website does not provide much information about itself or its subsidiaries. We were able to determine that Arrowpoint Capital’s business began with their 2007 acquisition of Royal Indemnity Company. Since then they have expanded through acquisition, specializing in what is known as “run-off” insurance. By definition, the “run-off” insurance is a scenario in which one company acquires another and continues to service current customers as normal. However, they do not write any new policies. The reason for this is generally that the first company finds the second to be either insolvent, or close to that point. In order to maintain the business, they service current customers, but they do not have the financial strength to write new policies. It is not clear whether Arrowood is in this secondary position under their parent company, or if they are the ones providing the run-off insurance. Beyond that, it is hard to say what Arrowood and its fellow subsidiary companies offer. From the little we can tell; it would seem that their insurance policies are focused on commercial needs such as general property and equipment liability, specialty coverage, and workers compensation. We were able to uncover a Florida court case from several years ago, which indicates that Arrowood provides supplemental insurance to corporate CEOs and other senior management. With all this said, it does not appear that this company provides health insurance. The only address we could find for Arrowood Indemnity Company is in Charlotte, North Carolina. For your convenience we have listed below the full address and telephone number. You may feel free to contact them using this information. If you visit the Arrow Capital website you will notice a link at the top of the page for their claims service. Unfortunately, like most of the website, this category is extremely lacking. There is no information that speaks to claims, how to file them, or what the procedure for getting started might be. They list a single contact name with telephone number that customers are expected to call. If the website is not kept up to date this information may not be correct. All that aside, it is assumed that claims are made by contacting Arrowood Indemnity Company directly. It does not appear as though they have local agents around the country that would help facilitate the claims process. By contacting the head office customers would speak to a representative who will take the appropriate information and get the claims process going. This type of direct-to-customer model usually results in a quicker and more efficient claims service. We cannot speak one or the other about the quality of this company’s customer service. However, we can say that the limited presence maintained by the parent company demonstrates they prefer their customer service interactions to be over the phone or in person. Arrowood is not a company going out of its way to embrace technology like some of their competitors. Whether that is good or bad is really the preference of individual customers. Some prefer online access for all of their customer service needs while others prefer to speak correctly to a representative. Unfortunately, Arrow Capital’s website provides very little insight into their career opportunities as well. The career link redirects the browser to a page with a single sentence of content. From their interested candidates are given an e-mail address and are asked to forward their resumes accordingly. Although we cannot say for certain, it would appear as though employment opportunities for Arrowood Indemnity Company go through the corporate HR department. Health insurance rates from some of America’s best providers are available right now if you enter your ZIP code below.